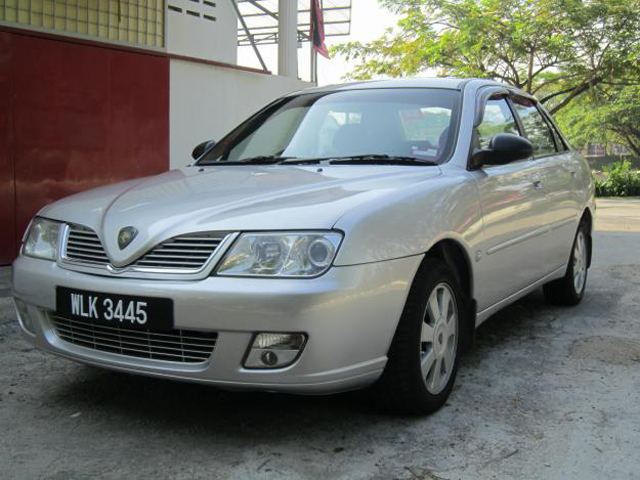 The Proton Waja is a saloon car designed in-house by Malaysian automotive company, Proton, first released in August 2000. The Waja is the first Malaysian-designed car. The name Waja which means (strong as) steel pictures the strength of steels used for Waja compared to the previous models. The name was chosen partly to counter the perception in the domestic market that Proton cars were not durable compared to its competitors. In the United Kingdom, the Waja was sold as Proton Impian, "Impian" being another derivative of the Malay language, meaning "dream". 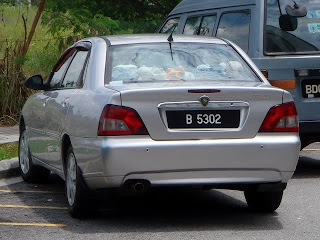 The Proton Waja is the first model designed in-house by Proton. 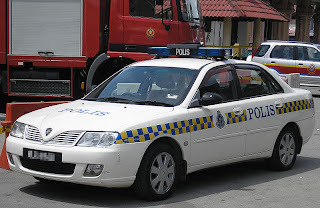 However the Waja's chasis was based on a Volvo S40 First generation (1995–2004) model. The development of the Waja began at the end of the 1999 together with the Campro engine, however, the development of the Campro engine was still in progress at the time of its launch and therefore Proton had to source the 4G18 engine for the Waja from Mitsubishi, before switching to CamPro engines in 2006. 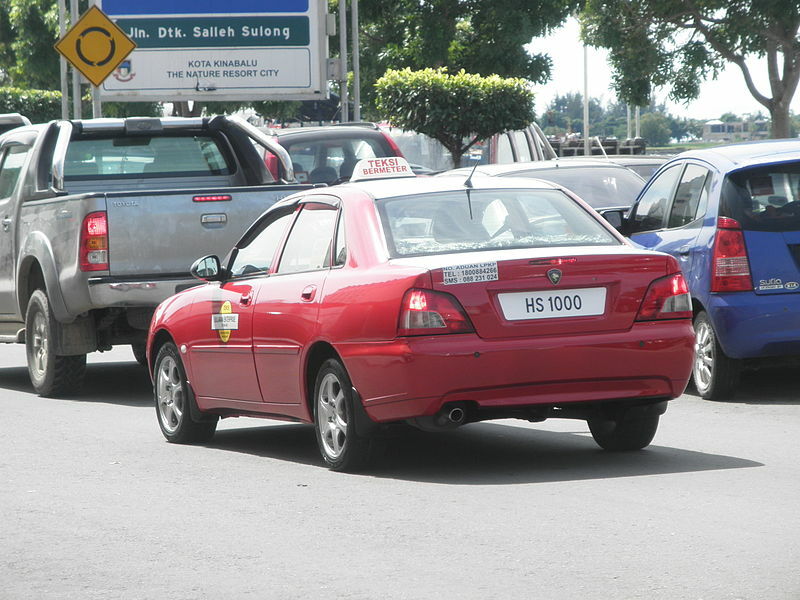 It was launched in August 2000, together with the introduction of Proton's new corporate logo. Early batches of the Waja had no airbags, ABS, and came with fabric seats only. In 2002, a 1.6 variant 'X', was launched. It was equipped with more luxurious items like climate control, traction control, auto-flip mirror, driver's airbag, wood grain interior and fully leather seats and door trim. Proton made minor changes to the seats by adding rear armrest with cup holder (which a standard Waja lacked), rear seats adjustable head rest and lumbar support for driver seats. Due to the underpower issue, Proton launched new waja version, the 1.8X. It used the Renault F4P engine, found in the Renault Laguna. It used the same interior as the 1.6X Premium, but a passenger side airbag was added as safety feature. The Waja received a facelift in 2005. The first minor facelift was rear boot spoiler, new alloy-rims, new interior scheme (brown & cream), new instrument cluster, and dual airbags and ABS fitted as standard. Facelifted again in 2007, Proton Waja received a 125 PS (92 kW) and 150 Nm of torque "Campro CPS" engine. This was Proton's first model to be fitted with their own Campro engine. The exterior was given minor changes, such as a new grille and new taillights. The 2008 Waja CPS also includes both ABS and air bag as standard for the Malaysian market, which were previously optional equipment. At the end of 2005, Proton additionally introduced another variant of the Waja, known as Proton Waja Chancellor, to be used by representatives of the Association of Southeast Asian Nations(ASEAN) during the meeting of ASEAN leaders in the KLCC, shortly before its launch in 2006. The Waja Chancellor had a longer wheelbase, and a 2.0-litre V6 Mitsubishi 6A12 engine similar to that used in Proton Perdana V6. The car is also available only with a four-speed automatic transmission. 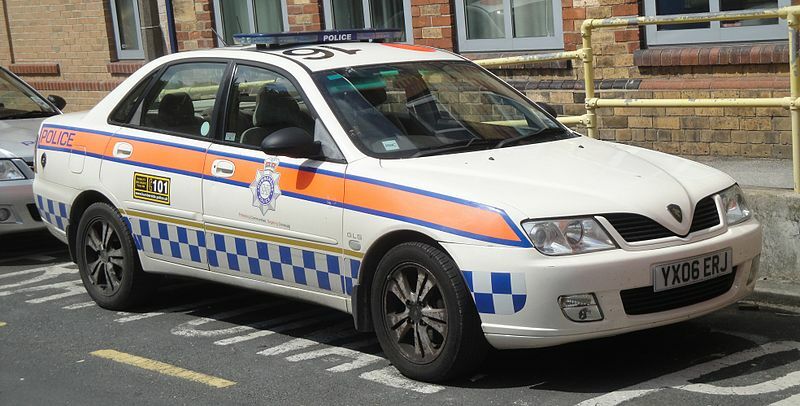 Waja sales in the United Kingdom, where it was rebadged as the Impian, did not begin until April 2001, and it has continued virtually unchanged ever since. The Impian was only available with right hand drive while left hand drive models were available elsewhere in Europe. Sales were not strong, as it was behind the best of the competition at its launch and virtually all of its competitors were all replaced since. Its decent ride and handling, generous equipment levels, competitive asking price and comprehensive aftersales package are perhaps the only things that keep it going with British buyers. 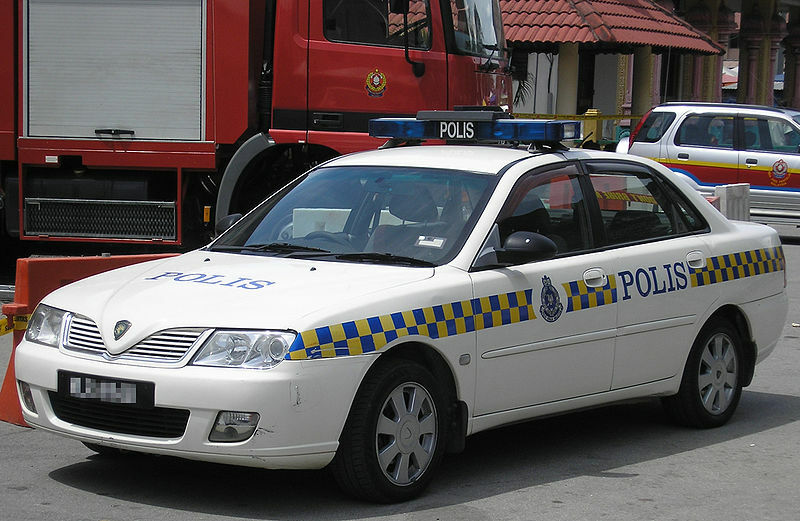 The Waja/Impian is currently the only Proton car to have undergone a Euro NCAP test, receiving only moderate-to-mediocre results in a 2002 crash test. Proton claims that the Impian is the first of a new generation of cars that are designed to Euro NCAP standards and is the first Proton car evaluated by Euro NCAP. It scored 3 stars for adult occupant safety but only 1 star for pedestrian safety. This was a disappointing performance but Proton says it intends to improve future designs. But it has not yet been done till now. The car's body was damaged so badly by the impact that it became unstable. The driver and front passenger risked serious injury. The child restraints performed poorly and it became apparent that, in development, too little thought had been given to their use. The tested configuration with side airbags were never sold by Proton in Malaysia. Top Gear aired a segment which featured a damaged Proton Waja alongside a damaged Toyota Avensis to show the differences between a 3-star EURO NCAP car and a 5-star EURO NCAP car after a head-on collision on a deformable steel concrete wall. For three years the Waja was entered in the British Touring Car Championship between 2002-2004. The car was entered as a BTC spec under the team name Petronas Syntium Proton. The team enjoyed moderate success with no race wins despite having experienced drivers David Leslie and Phil Bennett for the first two years. In 2004 the team hired two new drivers in Shaun Watson-Smith and Malaysian star Fariqe Hairuman, but after no podium finishes, they withdrew from the championship at the end of the year. Proton developed a Waja replacement called Proton Inspira, previously codenamed New Sedan and P309A. It is actually a rebadged Mitsubishi Lancer and was originally tipped to retain the "Waja" name. The Proton Waja is to be discontinued and the Proton Inspira will be introduced as a new model that will be competing in the B segment and C segment markets. Last updated on 31 August 2013 at 15:25.